No Guest Speaker. Review of Winter Show. Please consider bringing along some specimens. Raffle. Holding of day or night meetings will be discussed, please indicate your preference. 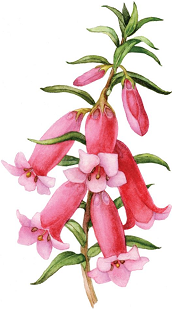 The Annual General Meeting of Australian Plants Society Ballarat District will be held on Wednesday 8th August 2018, following the monthly meeting at 2pm, at the Robert Clark Horticultural Centre, Gillies Street. Presentation of reports and election of Office Bearers.